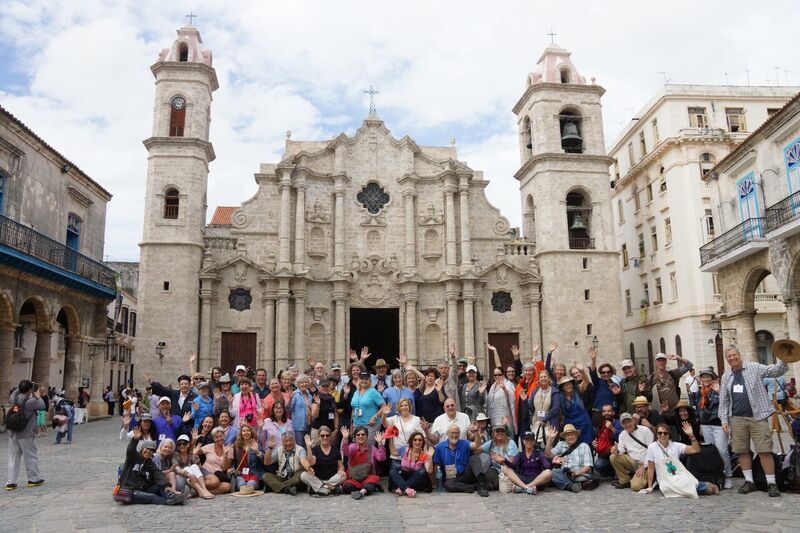 In February 2016, 100 Plein Air painters packed their brushes, paints and easels and travelled to Cuba for the trip of a lifetime. This was to be the largest group of artists to visit this country as a group in history. The timing couldn’t have been more perfect, mainly being for us to visit this jewel of a country before it changes. We were all going to a place of the unknown. The old cars, the unkept buildings, the rural working countryside. The only rule for the week was ‘no drama’. We were all to expect the unexpected, and say goodbye to the Western certainties. Wandering around the streets of Old Havana, it felt as though the clocks had stopped; it was like walking back in time to the 1950’s. The buildings were often crumbled, with patchpaint work and construction of sorts occurring everywhere you looked. Yet, amongst the dilapidation of the city, there was much beauty and a very clear dignity amongst the Cuban people. The city provided a plethora of painting opportunities; stunning architecture, revolutionary propaganda, the typical hustle and bustle of city life and live music on every street corner. The agenda for the week was to paint, paint, paint. 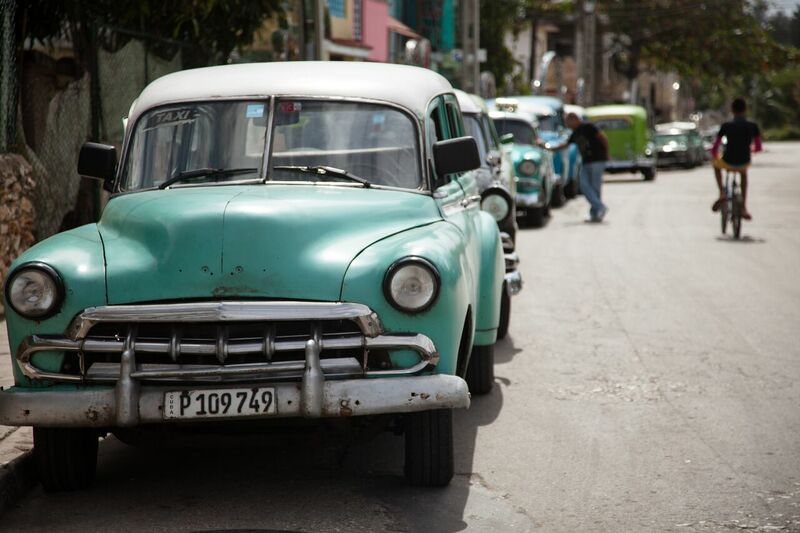 We spent much of our time in Old Havana, and Central Havana, though every day was an adventure with us heading out into the countryside and visiting the sugar plantations and local fishing villages too. The most refreshing feeling for the artists was to paint without the pressure. Each artist was there for their own reasons; whether that be to relax with friends, for future reference pieces, or to soak up the culture, sights and Cuban people. 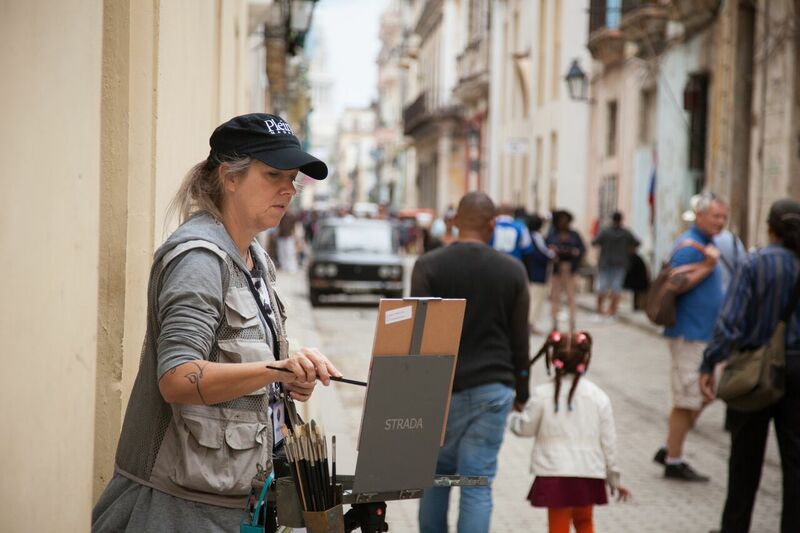 Rosemary and I spent much of our time going down the back streets of Old Havana and finding local artists, the regular Cuban people who were going about their day to day lives, and portraying that through their art. At the beginning of the trip, our leader, Eric Rhoads asked the group to consider gifting any of their old brushes, half used tubes of paint, and panels for us to hand over to the locals. 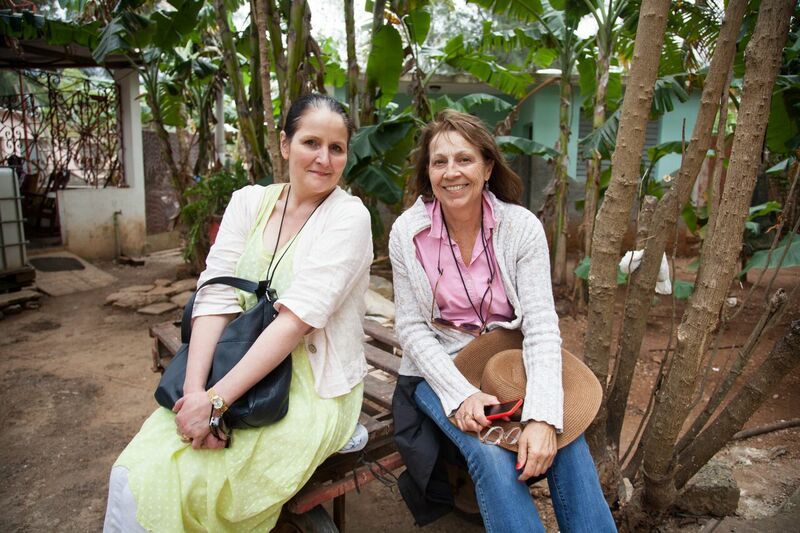 It was extremely humbling to see just how much the group of artists we travelled with were willing to give. 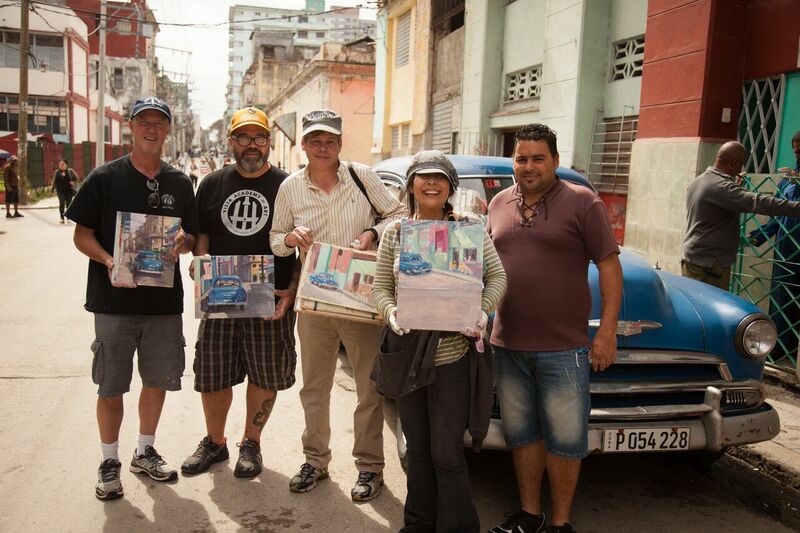 And, it very quickly became clear when meeting the Cuban artists that they had extremely limited materials, and the dire condition of what they did have. Throughout the week, Rosemary and I took the art supplies we collected each morning and handed them around the local artists. We stumbled across a local art market which was filled from floor to ceiling with canvases. We visited the market almost every day and off-loaded our bags of art supplies on to the working artists. We spent hours talking with the locals about what they were creating, and encouraging them to continue making such beautiful pieces. It was such an eye opening experience for us to see the brushes they were using, and the poor condition they were in. As brush makers, Rosemary and I were bewildered to see what they were able to create with quite frankly, brushes you or I would have thrown away many years ago. There’s so many amusing memories that I’ll cherish from Cuba. I would advise anyone ever wanting to visit this beautiful island to travel with the same mantra I did, expect the unexpected, but don’t expect anything at the same time. It seemed to work for me, and allowed me to enjoy the trip so much more. 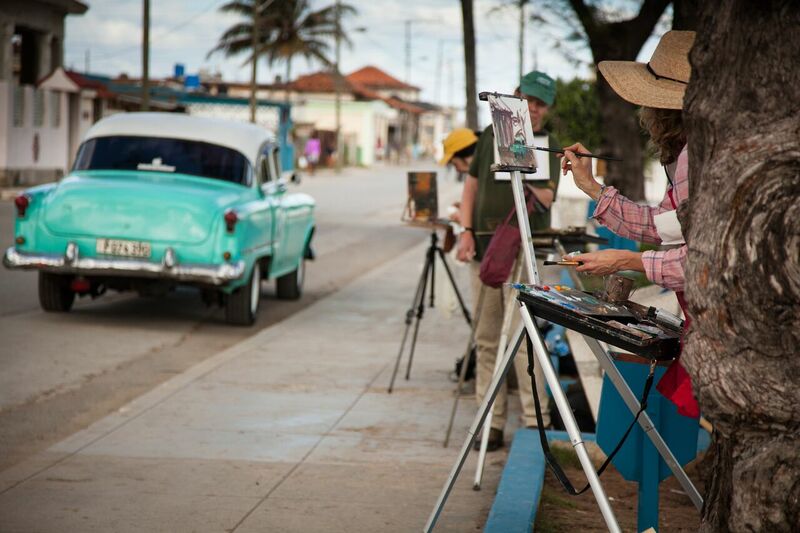 The group of artists we went with captured the Cuba of early 2016 through their watercolours, oils, acrylics and pastels, yet on paper and canvas, Cuba looks to be a place frozen in time. I’d urge you to go there, and both Rosemary and I have the Plein Air Magazine to be thankful for our opportunity to visit. *To donate your un-wanted supplies, please contact us directly. Photos courtesy of Turner Vinson. I would love to see some of the work of both the local artists as well as the travelers. Donating brushes was a great gift to both the local artists as well as those who will have the joy of hanging their paintings. I’d love to see the paintings, Cuban & visitors, also! Subscribe to receive latest blog posts via email. PleinAir magazine proudly presents the 8th Annual Plein Air Convention & Expo (PACE), which will be held in beautiful San Francisco, California April 24th – 28th 2019. Rosemary & Co will have a booth at the convention and look forward to meeting friends, both old and new! Rosemary & Co Artists Brushes Ltd. PO BOX 372, Keighley, West Yorkshire, England, BD20 6WZ.